It is only September 27, and we have already seen 2 JTWC-warned storms in the Southern Hemisphere, and a third may form in the coming days. What are your thoughts on the activity in the Southern Hemisphere this season? Final JTWC-warned storm tally: 25-28 systems (the average is between 26 and 28, but the last three seasons have averaged 20). A total higher than 28 is not out of the question if things really get firing, but I do not think this year will have as low of a total as the last 3 years especially based on the early activity. This is based on my amateur knowledge and hunches, so I am interested in hearing any more scientifically-based projections. Strong El Ninos appear to suppress activity in the SWIO (such as in 1982-83, 1997-98, and 2015-16), but based on my amateur research weak or even moderate El Ninos do not appear to suppress the SWIO. They all appear to enhance activity in the SPAC, however, and suppress it around Australia (even weak El Ninos suppress activity around Australia, I believe, but I am not positive). None of the basins have released forecasts at this point, but as we see the action has commenced. The Australian Bureau of Meteorology has issued it's Tropical Cyclone Outlook for the Australian and South Pacific regions. In summary, they expect a below-average Australian and a near-average South Pacific season. 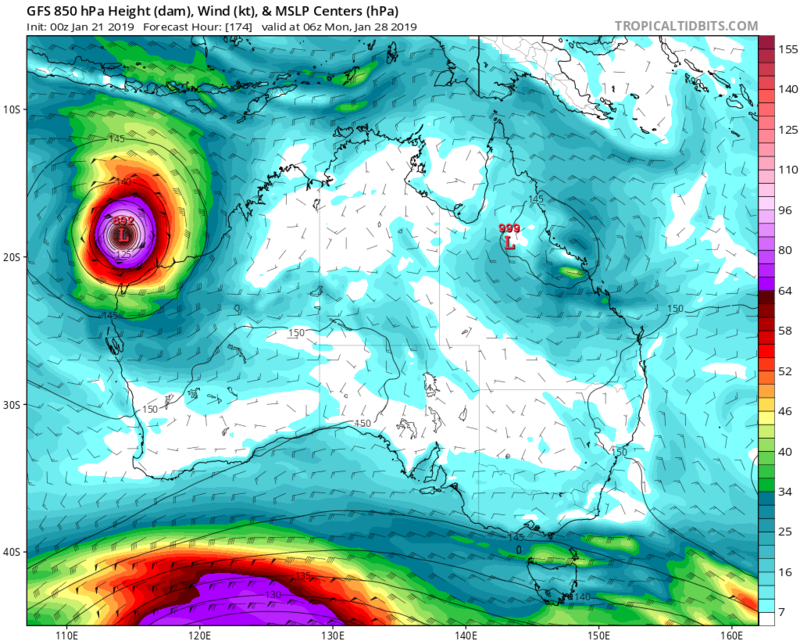 -The possible development of El Niño in the tropical Pacific Ocean and near average ocean temperatures to the north and east of Australia have influenced this year’s tropical cyclone outlook. -On average, there are 10 to 13 tropical cyclones each season in the Australian region, four of which typically cross the coast. 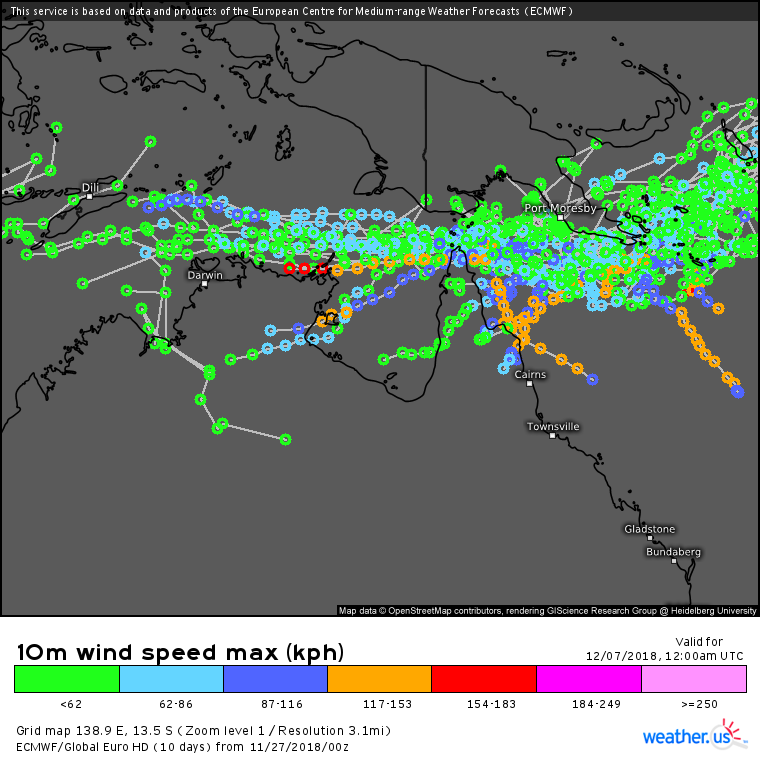 -El Niño typically reduces the number of coastal crossings, but at least one tropical cyclone has crossed the Australian coast each season since reliable records began in the 1970s. -During El Niño years, the first tropical cyclone to cross the coast is typically during the second week of January. This is generally later than seasons which are ENSO-neutral when the first cyclone landfall typically occurs in late December. -Cyclone formation is rarely spread evenly throughout the season; often quiet periods are followed by bursts of activity. -Tropical lows that do not intensify into cyclones, or lows that are the remnants of older cyclones, can still cause widespread rainfall and dangerous flooding. These impacts can extend beyond the tropics into southern areas of the country. This outlook is based on the status of the El Niño–Southern Oscillation (ENSO) over the preceding July to September. Sea surface temperatures in the tropical Pacific Ocean have continued to warm all year and have been above average since June. Eight climate models surveyed by the Bureau have forecast tropical Pacific Ocean temperatures to remain above average throughout summer, with three predicting El Niño thresholds to be exceeded. The Southern Oscillation Index has remained negative since the middle of July and exceeded El Niño thresholds during September. However, trade winds and cloudiness in the central Pacific are yet to show a strong El Niño signal. Ocean temperatures are currently 0.5 to 1 °C warmer than average to the north and east of Australia but remain average to the west. The outlook indicates that less tropical cyclones are likely in the Australian region and all sub-regions for 2018–19. -The Australian region has a 37% chance of more tropical cyclones than average, meaning a 63% chance of less tropical cyclones than average. Typically, around four tropical cyclones cross the Australian coast in a season. Outlook accuracy for the Australian region is high. -The Western region is likely to experience a below-average number of tropical cyclones this season, with a 56% likelihood of fewer than average. The likelihood of more cyclones than average is at 44%. Typically between about 15% and 40% of tropical cyclones in the Western region affect coastal areas. Outlook accuracy for the Western region is low. -The Northwestern sub-region has a 41% chance of more tropical cyclones than average and a 59% chance of fewer tropical cyclones than average. Typically, five cyclones form in or pass through this area each season. Around 40% of tropical cyclones, or their associated tropical lows, affect coastal areas of the Northwestern sub-region. Outlook accuracy for this region is moderate. -The outlook for the Northern region suggests an average number of tropical cyclones with a 46% chance of more than average and a 54% chance of fewer tropical cyclones than average. 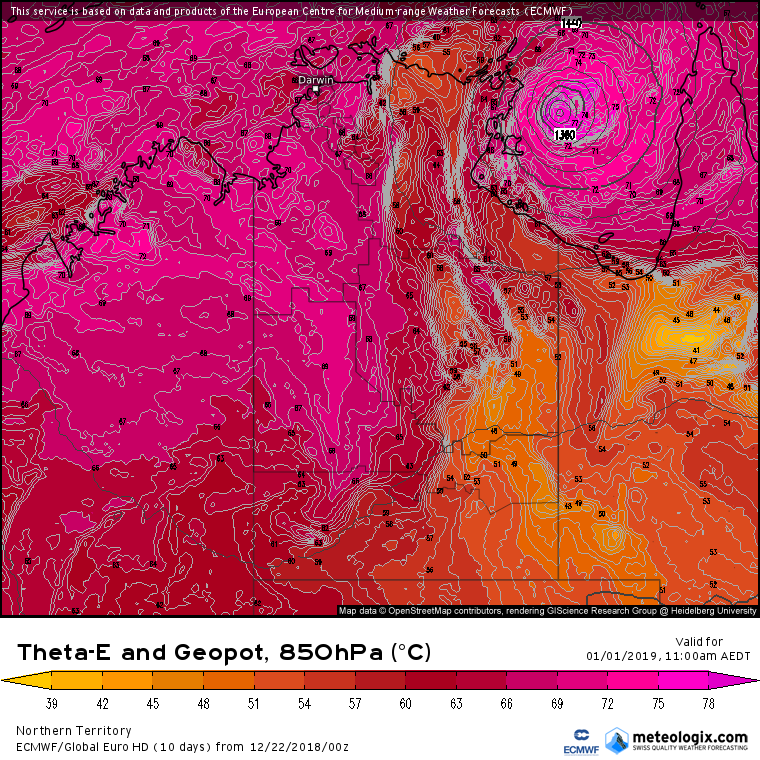 In a typical year the Northern region experiences around three cyclones, and one or two tropical lows that later become cyclones after moving into the Western or Eastern regions. 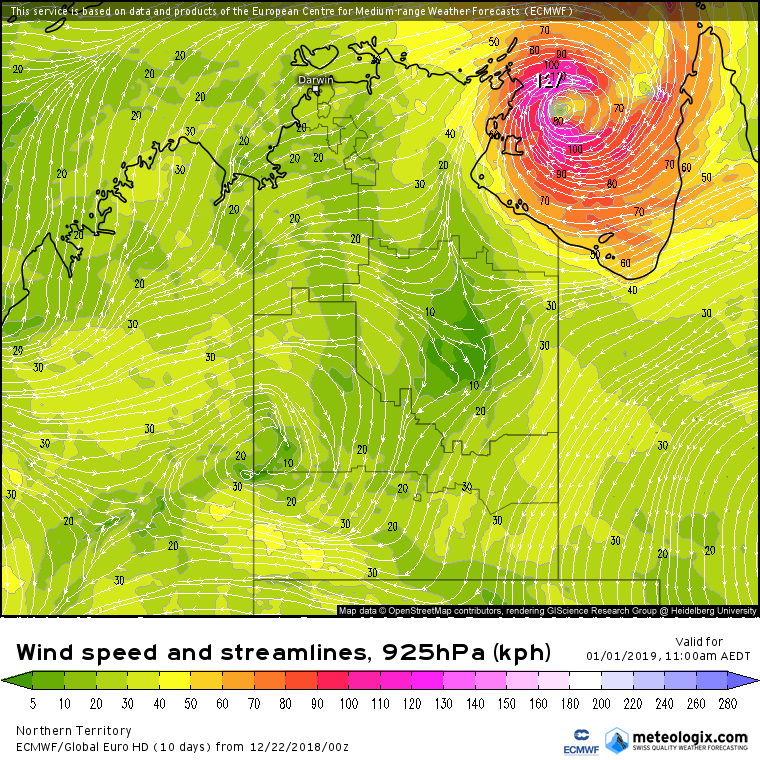 About three-quarters of the tropical cyclones in the Northern region impact coastal regions. Outlook accuracy for this region is very low. -The Eastern region outlook shows a below-average season is most likely, with a 40% chance of more tropical cyclones than average and a 60% chance of fewer. About a quarter of tropical cyclones in the Eastern region make landfall. Outlook accuracy for this region is low. -Near average number of tropical cyclones are expected in the western South Pacific region this season. -ENSO-neutral to weak El Niño-like conditions in the tropical Pacific Ocean have influenced this year's tropical cyclone outlook. -Most climate models indicate that neutral conditions are likely to persist into 2019, although the risk of El Niño is still significant. 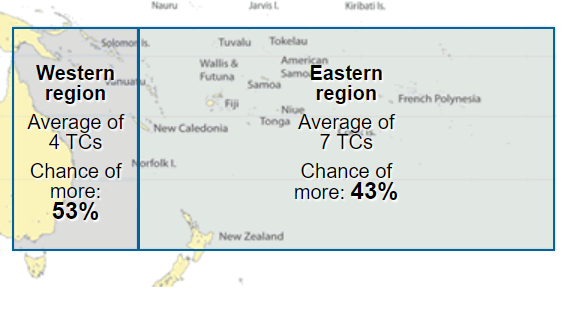 -Near-average cyclone numbers are also likely for the eastern South Pacific but model accuracy is very low. 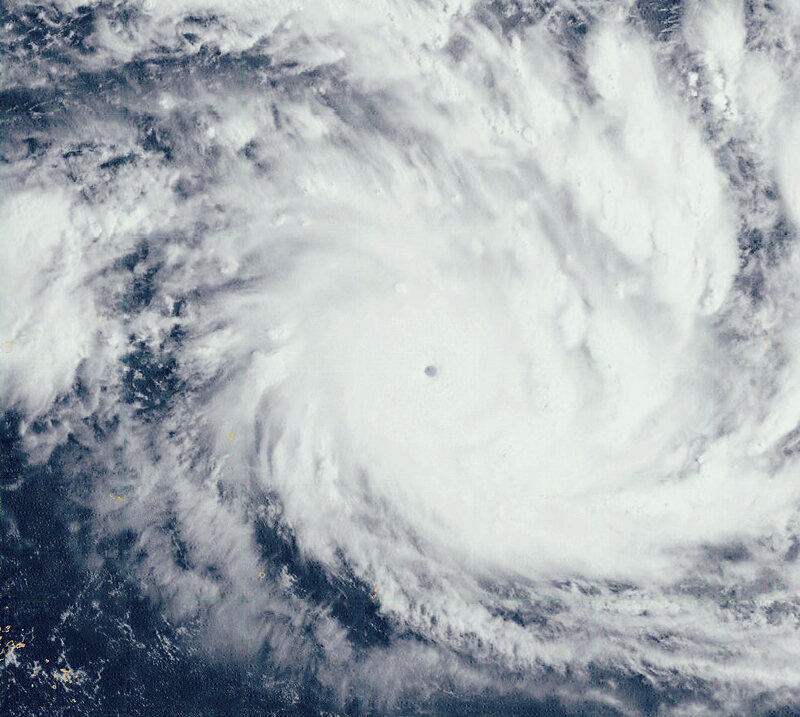 The South Pacific tropical cyclone season typically extends between 1 November and 30 April. The average numbers of tropical cyclones during the season in the western and eastern regions are seven and four respectively. Tropical cyclones affect Pacific island countries in most years and can impact coastal regions even when they remain well offshore. This outlook is based upon the status of the El Niño–Southern Oscillation (ENSO) during the preceding July to September. Eastern tropical Pacific Ocean sea surface temperatures have been warming all year and are now above average, although they have yet to exceed El Niño thresholds. The Southern Oscillation Index recently exceeded El Niño levels but other atmospheric indicators of ENSO (trade winds and cloudiness in the central Pacific) remain at normal levels. Eight international climate models surveyed by the Bureau forecast Eastern Pacific Ocean temperatures to remain above average throughout the summer, with three out of eight models predicting an El Niño to eventuate during the season. 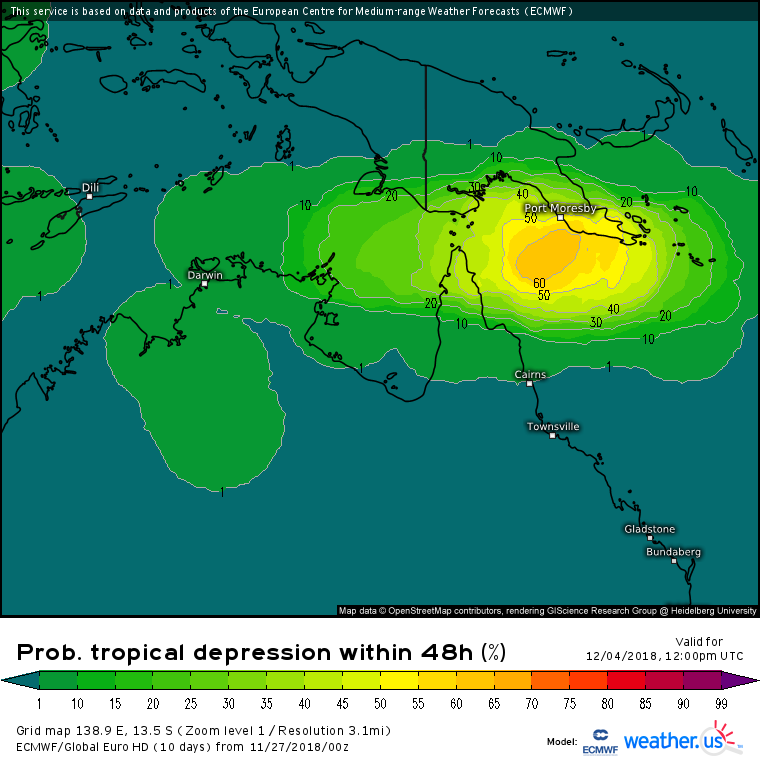 The statistical model used for this outlook has a high level of accuracy predicting cyclone numbers in the western region, but a very low level of accuracy for the eastern region. This outlook is for the southern hemisphere tropical cyclone season which runs between 1 November and 30 April. Im pretty unfamiliar with the south pacific, but how come the Australian Region hasn't had an above average season in a long time? The outlook for the Southwest Indian Ocean has been released as well, and it forecasts a near-avearge season. The models are now predicting at least one, and perhaps two, cyclones in the SWIO in the coming two weeks. Two TCs in November would be a rare occurrence, particularly simultaneous events. The first two names are Alcide and Bouchra. 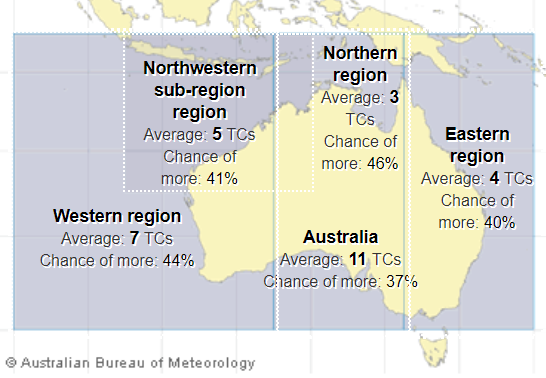 I have seen some sources attributing the reduction in Australian-region TCs to climate change (potentially the poleward migration of tropical lows/cyclones moving the storms closer to or over the Australian continent, inhibiting their development), but I would like to see what the next 10-20 years will bring before passing my judgement. I began actively monitoring Southern Hemisphere TCs during the 1999/2000 season, and it seems that while that season was fairly active there have not been many active seasons for Australia since. Perhaps there is a decadal oscillation in play as well, but that is amateur conjecture on my part. 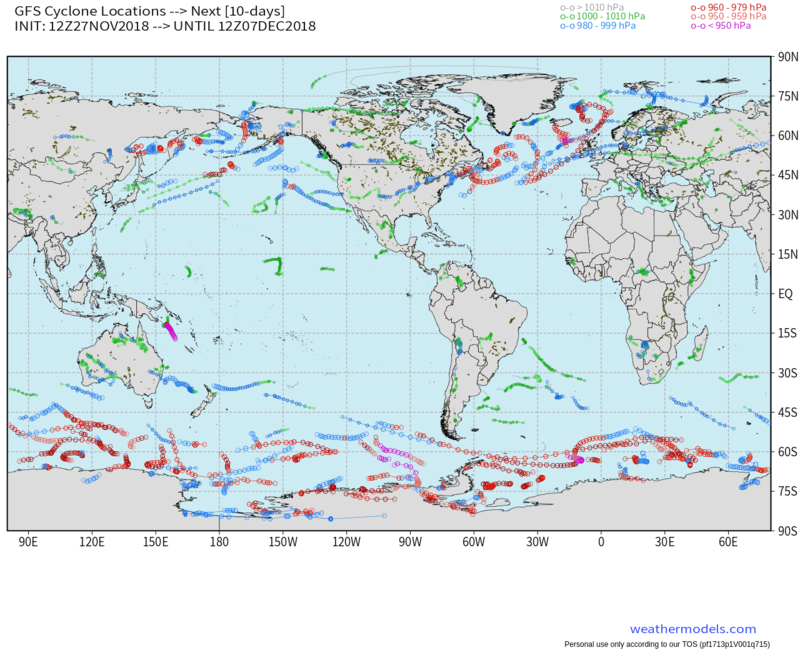 What is it about the SEPAC and S. Atlantic that they don't produce tropical cyclones with anywhere near the regularity of any of the other ocean basins worldwide? I think it has to do with high wind shear in addition to colder sea surface temperatures. It seems the South Atlantic has more activity than the southeastern South Pacific, however. There is a naming list now for the South Atlantic, but most of the names have been used for subtropical storms. SconnieCane wrote: What is it about the SEPAC and S. Atlantic that they don't produce tropical cyclones with anywhere near the regularity of any of the other ocean basins worldwide? The waters of Southeast Pacific and South Atlantic are cooler. The Southern Hemisphere has less land, which is less likely to warm the ocean up, like the Northern Hemisphere. One reason why Northern Hemisphere sees more tropical cyclones due to more land. The lack of landmass in the Southern Hemisphere contributes to the Roaring Forties, Furious Fifties, and Screaming Sixties in the South Indian, South Pacific, and South Atlantic. Those areas are very rough. There are no known records of tropical cyclones hitting the Pacific coast of South America. The waters are cooler due to Humboldt Current. That contributes to the Atacama Desert being one of the driest in the world. 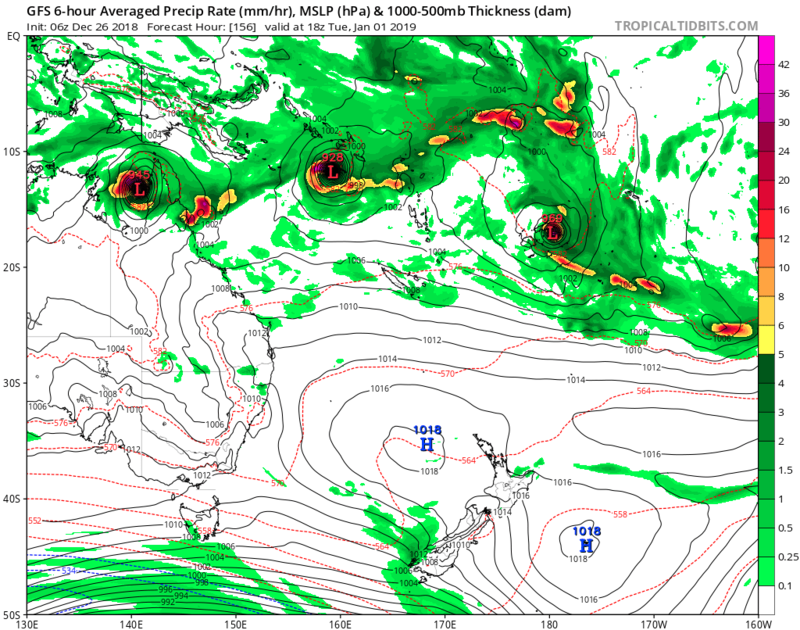 GFS thinking a beast for the coral sea. Regarding the track, a lot will depend on how strong the system gets south of PNG. 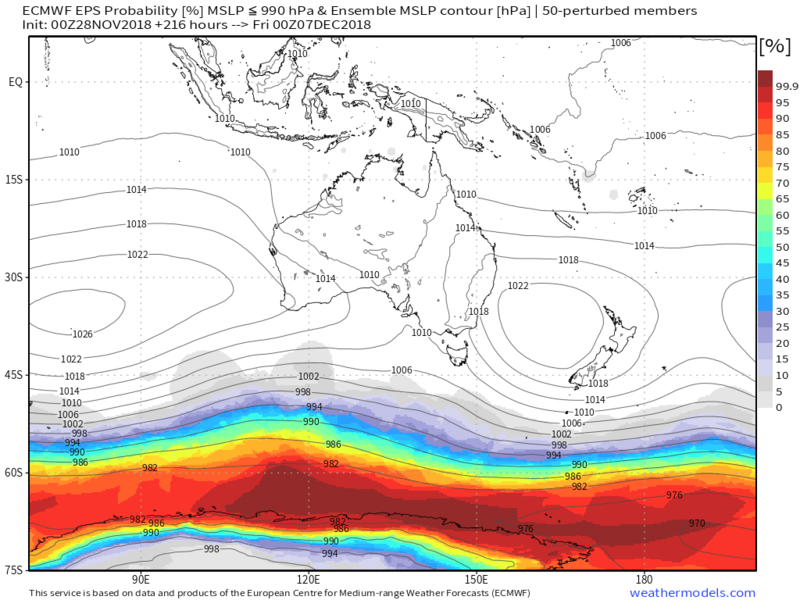 If it strengthens quickly, it will likely get captured by a trough over the Tasman Sea which results in a SE-movement potentially threatening New Caledonia. This scenario is supported by all GFS members and the operational GFS run. EPS also shows troughs moving east weaken the str. Good bet this will go se as-per GFS. Starts moving when a shortwave erodes the str thinks GFS. Given the projected intensity asper the GFS global . Likely worth the + info. EC thinks the GOC will see the new year in with another TC. The 00z ECMWF shows a very interesting and unusually strong "agukabam" towards the end of its run. 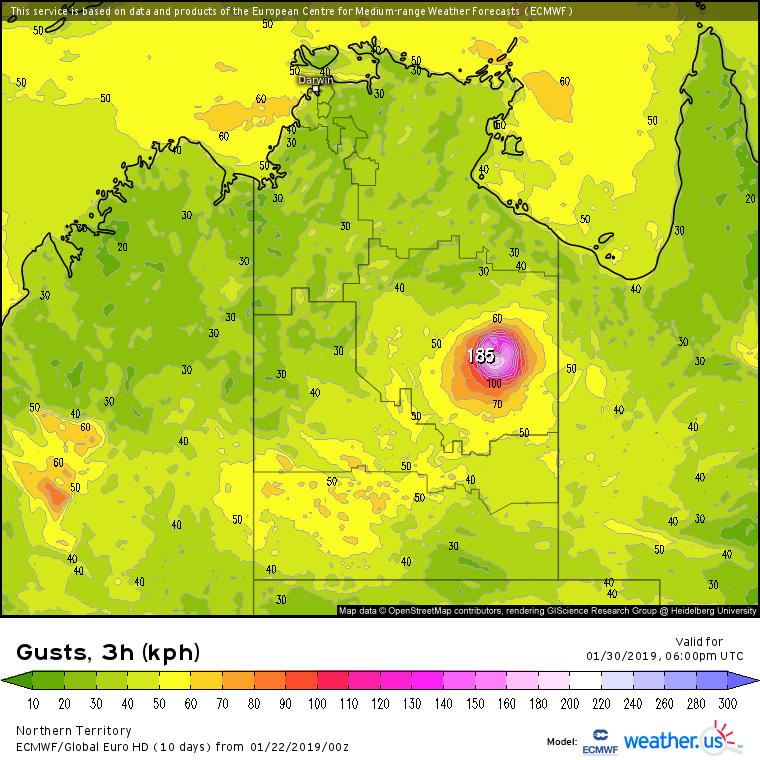 An "agukabam" is a tropical cyclone moving over inland Australia and reintensifying to hurricane-strength while staying warm-core (see Emanuel et al. 2008). They often develop a closed eyewall and an eye feature. During the same time, the 10-minute sustained winds increase from 32 kt (60 kph) to 63 kt (117 kph) which basically meets the NHC definition of a rapidly intensifying hurricane when converted to 1-minute winds! EC12z ops thinks possibly a hit on Mauritius island next week-end.